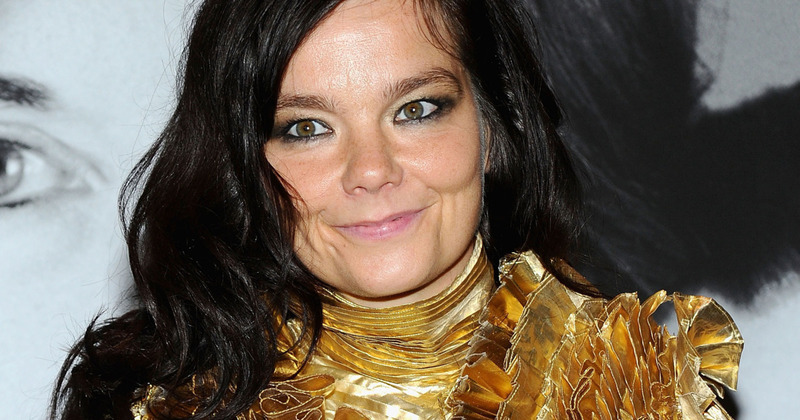 Bjork Son, Age, Husband, Ethnicity, Height, Where Is She Now? Home Musicians Bjork Son, Age, Husband, Ethnicity, Height, Where Is She Now? Finding fun in music is one of the things Bjork has accomplished in her days as a singer, songwriter, composer, actress, record producer, and DJ. We could literally list her as one of the artists who have the most creative and unique sets of clothes in their wardrobe just like Lady Gaga. Bjork is a legendary singer who has been in the music industry for over four decades and has made a name for herself beating a lot of her kind to the game. She has done music in a different way that includes mixing different kinds of sounds to get a perfect harmony. One amazing thing about the legendary music personality is her creative way of fusing music, nature, and technology into one single entity. Here is everything you should know about her. The iconic music legend was born in the capital and largest city of Iceland, Reykjavik. She was born to an activist mother, Hildur Rúna Hauksdóttir and a union leader and electrician father, Guðmundur Gunnarsson on 21 November 1965. Her mother, Hildur is known for her involvement in the creation of Kárahnjúkar Hydropower Plant in Iceland. The union between her parents was for a short while as her parents divorced as soon as she was born. After her parents separated, her mom relocated with her to a place called Commune and later remarried a guitarist named Sævar Árnason. Bjork’s learned how to play the classical piano and flute when she was six. The singer was one of the best in her set while at the music school and later got one of her records played on the RÚV radio station despite being young. Her record on Tina Charles song I Love to Love (1976) got circulated through the whole of Iceland and attracted a member of the Fálkinn record label who later offered her a recording contract. At this point, Bjork’s career took a form and she recorded her self-titled single; Bjork just when she was 11. Through her teenage days, she joined several band groups including an all-female band Spit and Snot; Jam-80 formed in 1981 which later changed its name to Tappi Tikarras; a jazz group formed in 1979 named Exodus, and a gothic rock band KUKL. Bjork has recorded over eight studio albums including Björk (1977), Debut (1993), Post (1995), Homogenic (1997), Vespertine (2001), Medúlla (2004), Volta (2007), Biophilia (2011), Vulnicura (2015) and Utopia (2017) to mention a few. She showed her stints in the acting world and also did amazingly well as an actress. She featured in a few movies including Glerbrot (1987), The Juniper Tree (1990), Dancer in the Dark (2000) among others. Bjork’s first marriage was with Thor Eldon. The two were wedded in a very small ceremony on June 8, 1986, after she met him during her days with the Sugar Cubes band. Their marriage later went sour which led to a divorce in 1987. However, they had a son named Sindri Eldon Þórsson while they were married. Sindri works as a journalist and founded the solo project, Sindri Eldon. He was also the camera operator for the documentary Screaming Masterpiece. Afterward, Bjork became a freelancer when it came to relationships and she has since been involved romantically with a lot of music personalities including Goldie, Tricky, among others. While promoting the movie Dancer in the Dark, she fell in love with Matthew Barney. They later got married and their union was blessed with a female child named Isadora Bjarkardottir Barney born on October 3, 2002. Everything seemed perfect and all was going well until sometime in September 2013, when they got divorced. Exactly two years after their separation, Mathew Barney sued Bjork for the custody of their daughter, Isadora claiming that his ex-wife prefers her success to her daughter’s emotional well being. Her last public appearance was in the year 2017. She is an active member for the 7 Inches for Planned Parenthood and also performed a live version of her song Come To Me as part of her contribution to the group. She has been a composer, singer and a music champion for over 40 years and later poured her heart into writing a career-spanning songbook entitled 34 Scores for Piano, Organ, Harpsichord, and Celeste which consists of her kinds of music which were released in June 2017. With the little we have gathered, Bjork is still making music, enjoying tours and is still making headways in the music industry. Only a few people possess the beautifully curved cat eyes and the elf looks that Bjork possesses. She is a very pretty woman despite her age and also has a slim body build. She stands at 5 feet 4 inches with a balanced weight of 54 kg. Despite being a mother of two, the iconic singer has a perfectly defined structure. She measures 31-24-31 inches for her hips, bust and waist sizes respectively. She dyed her hair orange when she was quite young and has dyed it to several colors since. Currently, she wears curly black hair often packed in a bun.